Did Social Media Kill Branding? Branding as we know it has changed, radically in fact. Brands used to enjoy a monopoly over communication channels which they used as megaphones to define who they were. However, digital media has flipped this model on its head. Customers are now the ones controlling conversations and in the process they are influencing perceptions around products and services. Social media tools like Twitter and Yookos enable them to express their thoughts and create viral conversations across the social web. These conversations form the backbone of how a brand is perceived and interacted with. There are those who are persuaded by the claim that social media killed branding. However, nothing can be further from the truth. On the contrary, social media has actually enhanced branding opportunities for businesses of all sizes. "Before social media, one of the only ways to find customers besides advertising was word of mouth," says Julien Sharp, chief creative officer of Stylo Creative. "Social media has allowed word of mouth to go viral on the internet in a much bigger way. And you can get consumers to do your work for you." Social media makes it possible for businesses to develop a strong identity which conversely provides a clear position in their target markets. An authentic brand essence is the basis for successful marketing. With a good story in the background businesses can market their products and services better. Initially, a number of businesses paid scant regard to social media conversations. They assumed that social platforms were nothing more than a passing fad that would get out of vogue. Fortunately, marketers realised that social media has developed deeper and stronger roots that have given it staying power. With over 2.6 billion in combined membership globally, social networking is the most dominant online activity that supplies an unending torrent of conversations. For example, 6.5 billion likes are generated every day and 400 million pictures uploaded. These social interactions encroach brand discussions as well. A point to note in this context is that people talk about brands not because they love them but because they love their friends more. So how does branding work in the social media regime? Users are defining the brand. The best kind of social content is the one that triggers conversations in the market. The consequent positive and negative sentiments that arise from the online chatter become the sum total of a business’ brand. Explains Lisa Barone, co-founder and chief branding officer at Internet marketing agency Outspoken Media, "Brands that have the best success use social media to form relationships with people. It's about helping people by answering their questions or jumping into a conversation. Once they know you, they'll subscribe to your blog or newsletter. Once they make that step, it's a lot easier to market to them -- and they're a lot more open to being marketed to." A business that ignores social media for branding purposes is doing so at its own peril. 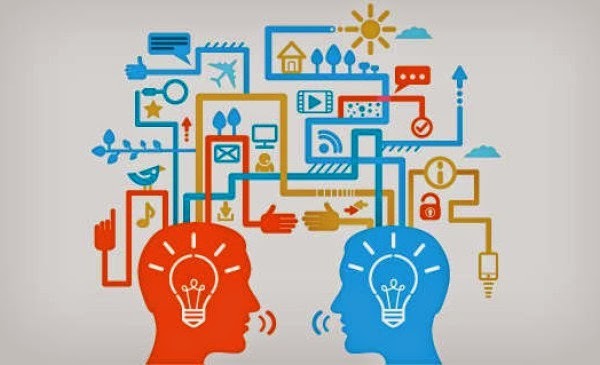 Social conversations take place with or without the involvement of businesses. However, the ones that receive good branding are those which are proactive and take part in conversations with their customers.